PROUDLY SERVING THE COLORADO SPRINGS TENNIS COMMUNITY FOR 53 YEARS " A Family Tradition Since 1965"
Established in 1965, the Colorado Springs Racquet Club has earned a reputation as one of the finest tennis clubs in Colorado. This, along with the beautiful outdoor swimming pool, makes the Colorado Springs Racquet Club a great choice for you and your family. A limited membership allows every member to get maximized enjoyment from the outstanding facilities and programs. Several categories of memberships are available on a limited basis. Choose the one that best meets your needs. A full staff is on hand at the club to aid members in making the most out of their recreation hours. A club manager, a full-time tennis pro, a pool manager, a swim coach, and summer swim instructors all make member’s enjoyment their major concern. If you think you or your family would like to join the Colorado Springs Racquet Club family, just come by anytime for a visit. You’ll love the friendly atmosphere and active tennis and swim programs offered at the club. 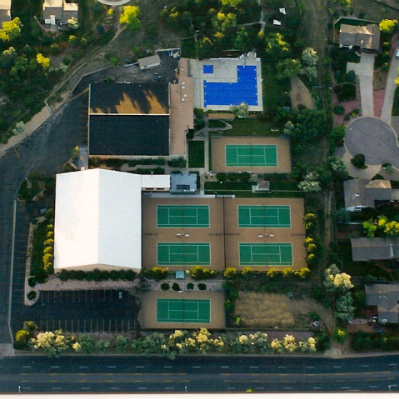 Discover the Colorado Springs Racquet Club- and make it your home away from home! "Building Family Memories Generation After Generation"
Family owned and operated. Keep your tennis investment in Colorado Springs!